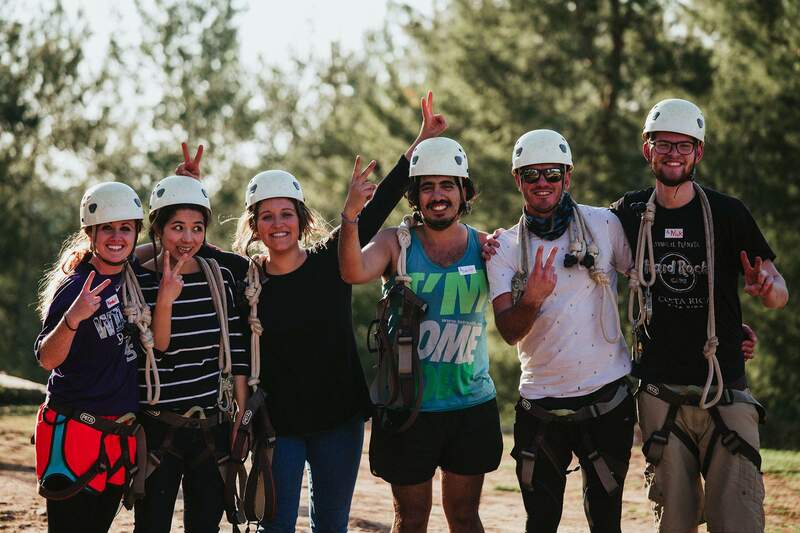 Israel’s premier outdoor training site, the Ariel National Center for Leadership Development (ANCLD), provides a one-of-a-kind, experiential platform which trains the next generation of Israeli and international leaders. Participants are given the opportunity to learn about themselves through training programs based on Biblical values and historical narratives – preparing Israeli leaders for the future through a bond with the past. Educators and course leaders deliver training that encourages guests to think creatively, communicate effectively, engage in self-reflection, foster teamwork, develop discipline, and recognize their strengths and those of their peers. With the beautiful landscape of Ariel and the surrounding hills as the backdrop, our guests also deepen their connection to the land of Israel and to the Jewish state. Students, educators, corporate staff, high-tech personnel, and tourists regularly make the ANCLD their choice for an activity that empowers individuals while uniting the group. The Center is based on a partnership with friends from the United States at JH Ranch and with local and national agencies in Israel. The Odyssey – The most visually daunting apparatus, the Odyssey allows for a slew of creative “plays” which challenge teams to learn how to work together and think creatively to make it across the ropes, thus empowering solidarity. The Alpine Tower – With “plays” for both individuals and groups, the 56-foot tall Alpine Tower demands from those who climb its ropes to overcome fears and trust in others as they aim to the top. The Leap of Faith – Also called “David and Goliath,” this 27-foot tall apparatus is designed for individuals to have faith in their abilities to set and reach goals. The Giant Swing – Leap toward the sky for a panoramic view of Ariel and the surrounding hills. The Training Development Course (TDC) – While lacking in height, this team apparatus does not lack in difficulty. Trainers guide guests through a series of challenging tasks that push teams to work together, solve problems, and maintain focus. Climbing Wall – Climbers test their endurance, stamina and speed as they climb their way to the top of this 40-foot wall, honing their communication and leadership skills in the process. In addition to the obstacle courses, the Center features outdoor and indoor areas for group briefings and the “Big Top” tent for events. In order to enhance the value of the site can provide trainees and participants, further facilities are needed. Plans include the construction of cabins and tent sites to allow participants to enjoy a multi-day experience.